The purpose of our web site is to communicate with the Wine Trade and show the wine lover the new world of Spanish wine. Burridges of Arlington St have been shippers and distributors of carefully selected fine Spanish wines since 1984. We act as UK agents for Spanish wine producers from many different regions of Spain and distribute our wines through Area Distributors throughout the UK, the Channel Islands and Eire. We are constantly visiting Spain to keep up with the new and exciting developments in all the wine-producing regions. 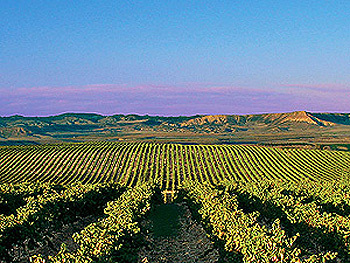 Our aim is to source top quality Spanish wines highlighting the indigenous differences. Our TRADE PRICE LIST may be accessed on our website by clicking on PRICE LIST above and entering User ID and Password - details available from our Head Office. A printed Price List is published annually and is available on request.